Product prices and availability are accurate as of 2019-04-22 22:27:29 UTC and are subject to change. Any price and availability information displayed on http://www.amazon.com/ at the time of purchase will apply to the purchase of this product. 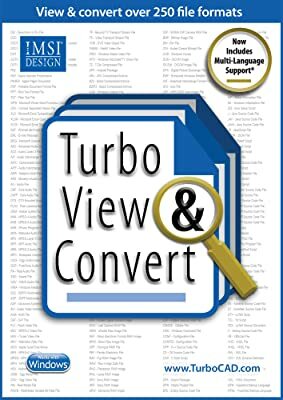 File Viewing & Conversion Utility Turbo View and Convert v2 is the latest advanced file viewing and conversion utility for Windows that can open over 300 file types. Version 2 includes support for 50 more file formats and adds batch conversion support for PDF, Microsoft Word, PowerPoint, Visio, Microsoft Project, audio, video, images, camera raws, and email files. Open, Edit, and Save Documents Not only can you view over 300 different file types with Turbo View and Convert, you can edit documents and save them in several different formats. For example, you can open and edit a Microsoft Word document, then save it as a PDF. Or, export a proprietary camera raw file to a standard image format or export a QuickTime movie to an MPEG-4 video. Click for a list of supported file types. 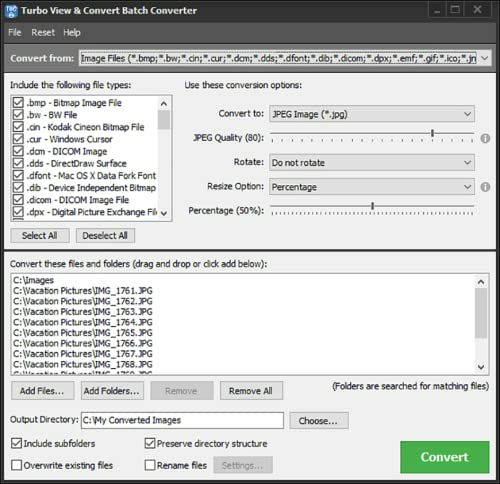 NEW Batch Conversion Support Batch conversion support has been added for many popular file formats including PDF, Microsoft Word, PowerPoint, Visio, Microsoft Project, audio, video, images, camera RAWs, and email files. Many conversion options for different file types are available. Users can convert hundreds or thousands of files in batch and can save and load batch presets files saving even more time! Edit Images with the Built-in Image Editor Open dozens of compressed and Camera RAW image formats. View EXIF data and other metadata stored in each image file. Customize your images by adding borders and applying special effects. Then save the image in whatever format you choose. 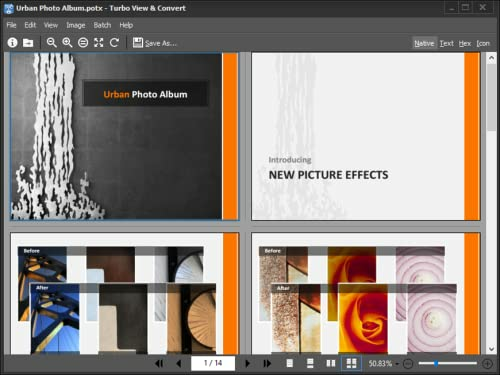 Play and Convert Dozens of Media Formats You can open and play several audio and video files with Turbo View and Convert. If you have a media file that one of your devices doesn't recognize, you can use Turbo View and Convert to export the file to a more standard format. View and extract file archives When you open a file archive in Turbo View and Convert, it will display the files and allow you to extract them to a new folder. Supported archive formats include ZIP, ZIPX, 7-Zip, RAR, CAB, APK, DMG, TAR, and several others.